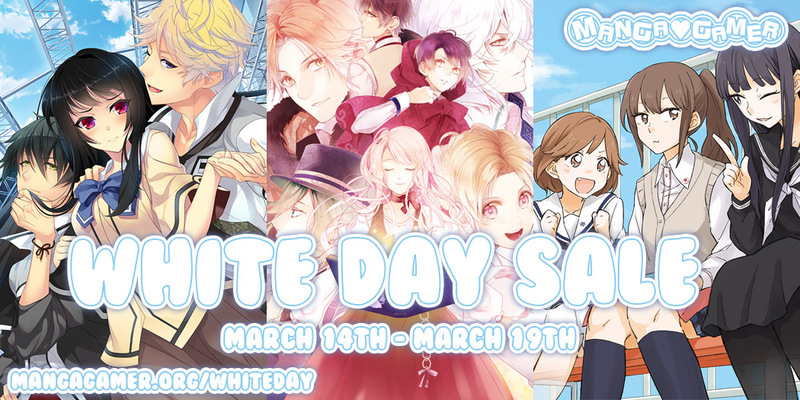 We’re holding a mini-sale for White Day! From March 14th to 19th, pick up Fashioning Little Miss Lonesome, OZMAFIA! !, and/or Kindred Spirits at a special discount! 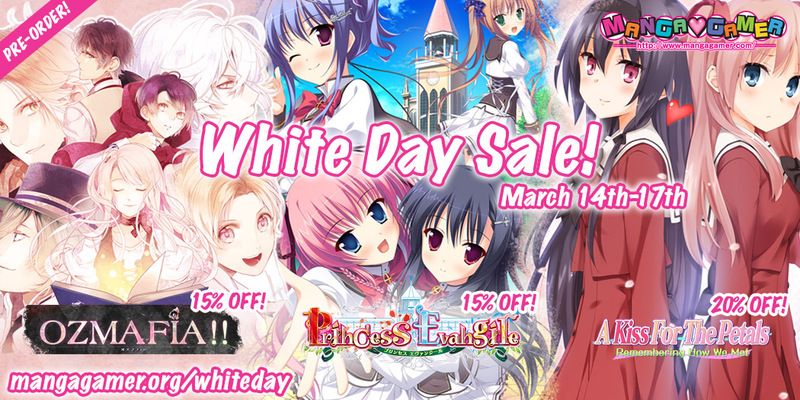 Join us in celebrating White Day all this week with special discounts on a variety of our visual novels! We’ll also be price-matching our discounts on Steam if you’d prefer to buy there. Join us in celebrating White Day! For those unfamiliar with the holiday, White Day is celebrated in Japan as a sort of complement to Valentine’s Day. In Japan, on Valentine’s women give gifts to men and then a month later on White Day the men return the favor––since you were all so generous to us when we ran into some trouble over Valentine’s we thought we’d do something to return the favor for White Day! So! We’ve put some of our best romance-themed titles on sale just for the occasion. 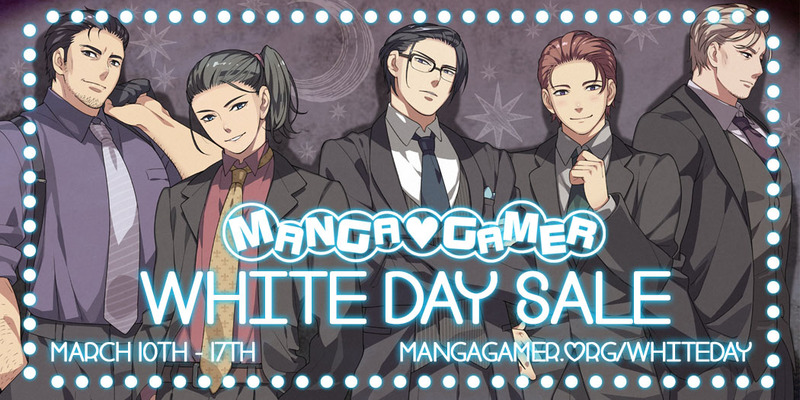 Let us know how you’re going to be spending White Day on Twitter with the #WhiteDay hashtag or check out the sale page to find a suggestion for who to spend White Day with!